Todd Bernhardt is Director of Marketing and Communications for Grameen Foundation. As readers of this blog may know, several weeks ago the Bank of Bangladesh (BoB) informed microfinance pioneer Professor Muhammad Yunus, winner of the 2006 Nobel Peace Prize, that he was dismissed from his post as Managing Director of Grameen Bank, which he founded in 1983. It claimed that he was serving illegally in his position because it had never formally approved his appointment when the 12-person Grameen Bank Board of Directors – which has three government-appointed directors on it, including the chairman – voted unanimously in 1999 to exempt Prof. Yunus from the mandatory retirement age of 60. In fact, the BoB had asked the Grameen Bank Board in 1999 for an explanation of Prof. Yunus’s appointment. The GB Board promptly replied, and the subject was never brought up by the Bangladesh Bank again – including during its annual audits of Grameen Bank in the ensuing years. Why then, has it only now brought up the age of Prof. Yunus as an issue, after more than 11 years of silence about it? The answer is becoming increasingly clear. The government’s latest moves are not just about Prof. Yunus and his age. Yes, he’s been a victim of partisan politics, in which the players involved seem to be trying to destroy his reputation because they see him as a political rival, but there are also signs that the ruling party is trying to gain control of Grameen Bank to use it as a tool to attain their political goals. Grameen Foundation and others strongly believe that an attack against the independence of Grameen Bank has far-reaching, negative implications for microfinance around the world. 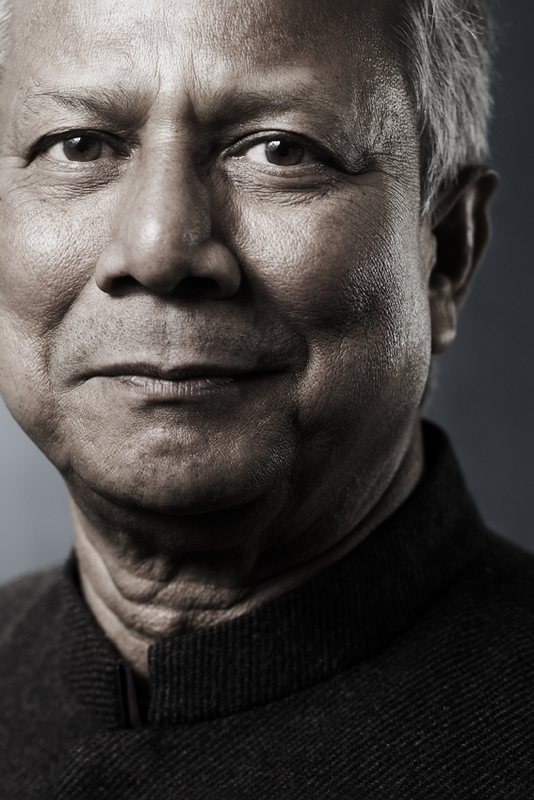 Prof. Muhammad Yunus has devoted his life to fighting poverty and empowering women in his native Bangladesh. The current government has repaid him by unfairly dismissing him from his post, an effort he and Grameen Bank are fighting in the courts. Will you help us defend his reputation? Prof. Yunus and the nine directors on the Grameen Bank Board who represent the Bank’s 8.3 million borrower-owners have petitioned the Bangladesh court system to stop the government’s attempts to dismiss Prof. Yunus from his position. During this appeals process, Prof. Yunus continues to serve in his role as Managing Director, because the Bank’s lawyers and many other legal experts believe that the Bangladesh Bank letter and ruling have no legal basis, because (among other things) the bylaws of Grameen Bank give its Board full discretion over the appointment of its managing director, and because of the precedent set by the many years of the BoB’s audits from 1999 to now that did not mention Prof. Yunus’s age. The case is now in front of the Bangladesh Supreme Court, which was originally due to hear the petitions March 15 but instead adjourned for two weeks. During this time period, the Grameen Bank staff has continued to cooperate with the government, working toward a solution that ensures the independence of the Bank and that enables Prof. Yunus to retire and set up a succession plan in a considered, orderly fashion. This is what will be best for the poor people of Bangladesh, which has always been the prime concern of Prof. Yunus. Grameen Foundation remains concerned that the time before Supreme Court rules will be used by the government to step up its attacks against Prof. Yunus and Grameen Bank – in fact, we’ve already seen indications of this, with members of the ruling party making very personal attacks on the Parliament floor against Prof. Yunus. Because of this, it’s more important than ever that supporters of Prof. Yunus make their views as public as possible. As mentioned above, please “like” the SupportYunus page on Facebook and tell your friends and families to do the same. When positive stories and links are posted on this or other Facebook pages, please share them with your friends and family. Please sign the petitions mentioned above. On Twitter, please express your support by posting thoughts, articles, encouragement to join the Facebook page above, etc. Use the hashtags #SupportYunus, #Yunus, #Grameen, #Socent, #YY and, on Fridays, use the “follow Fridays” hashtag (#ff) to build support. If you have a blog, please post about the situation, or use your keyboard in other ways – write to your local newspaper or media outlet, to the Bangladeshi embassy near you, to the U.S. administration or State Department, etc. Several supporters in the U.S. have had good luck convincing their member of Congress to issue a statement of support, so please try that. Of course, if you read articles or blogs about Prof. Yunus and Grameen Bank, please show your support by leaving positive comments. Grameen Foundation is a founding member of an organization called Friends of Grameen, which now has a website containing good background information on what’s happened so far. Finally, we encourage you and your friends to stay informed by signing up for the Grameen Foundation e-newsletter (the link is available on the right side of most pages on our website), on this blog, the Facebook page above, or other sites, including the Grameen Bank and Yunus Centre websites. Before wrapping up, perhaps I should clarify the relationship between Grameen Foundation and Grameen Bank, which are completely separate entities. Grameen Foundation has no operations in Bangladesh, and supports no microfinance institutions there. That said, one reason Grameen Foundation exists is to promote the values of responsible microfinance pioneered by Prof. Yunus and Grameen Bank – transparent, accountable, measurable efforts to empower the working poor, especially women, through small loans and other financial services – throughout the world. We will continue in that mission, which is possible only because of the generous support of people like you, who care about human dignity and damage that poverty causes to individuals and families every day. We hope we can count on you for your support. As always, we will continue to keep you informed as events develop. And, as always, if you have any questions or concerns in the meantime, please let us know. If you have ideas about how to support Prof. Yunus, please leave them in the comments section! Lydia Namubiru is a Partnership Analyst working with Grameen Foundation’s Community Knowledge Worker program in Uganda. For a long time, Charles Mukonyi of Gamatui parish in Kapchorwa had a problem with his chickens – the hens died off soon after hatching new ones. Three months ago, he was visited by his neighbor Tabitha Salimo, a Community Knowledge Worker (CKW) who told him that she had a phone that has huge amounts of agricultural knowledge to answer many of the problems farmers face. Naturally, the first thing Charles asked about was the hen problem. Tabitha checked her phone and informed Charles that his hens were likely to be catching diseases from their predecessors by sitting on the same hay when incubating eggs. She advised him change the hay for every newly incubating hen. He saw the wisdom of that and adopted the practice. He has not lost a hen since! Around the same time, in Kapwata parish, about 60km away from Charles’ home into the slopes of mountain Elgon, another farmer faced a big loss. One of Saulo Mwanga’s goats developed a disease he had not seen before — boils on the skin. He feared he would lose it. This was a very unfortunate possibility because, as he says, “when you lose one goat, you have lost about sh100,000” (or $50). Fortunately, he had an idea about where he could get help. He had been consulting Alfred Chepsikor, his area’s CKW, for routine farming information such as market prices and weather forecasts. He knew Alfred might have an answer for the goat problem, and indeed he did. Chepsikor searched his phone and saw the same symptoms described in a piece of informa­tion about goat diseases. Accompanying the symptoms’ description was a sugges­tion on what drugs the farmer could use to treat the goat. Though neither of the farmers knew the drug, they wrote it down on a piece of paper that Mwanga brought to his local agricultural input stores. Mwanga even went across the border to nearby Kenya to find the drug he had been advised to use. The goat is completely healed now. As one traverses Kapchorwa, one finds many more success sto­ries, big and small. For Caroline Chelangat of Sipi, it was a tip to add aloe vera to the water for her chickens that saved 10 of out of her flock of 20. (Unfortunately, by the time she consulted with the CKW, she already had lost the first 10). Aloe vera is known to have a medicinal properties, including improving immunity to diseases. Albert Kibet, also of Kapkwata, is hoping for better banana and cof­fee harvests this year after he started adding compost manure to his plantation, on the advice of his CKW. This is the difference a CKW makes — where farmers depended on luck in the past, they now have access to scientifically tried, proven and recommended solutions. The Microfinance Information Exchange (MIX) has acted as a real champion for social performance in past years as a data warehouse for microfinance institutions. They have helped lead the industry effort to create a set of social indicators through theSocial Performance Task Force and have just recently revised the list. We’re very excited to help spread the word that the MIX has just recently updated its online platform to display social performance data for MFIs along with its financial performance information. We commend the MIX for its efforts and are pleased to see that it continues to innovate and promote effective double-bottom line practices. MFIs using the PPI and reporting to the MIX are integrated into this new display and in the coming months we hope to announce how the MIX will indicate PPI Certified institutions in the new display. Lori Ospina is Regional Program Officer for Grameen Foundation’s Latin America and Caribbean region. When I began working at Grameen Foundation in August 2009, I was new to microfinance and was excited about becoming an expert in loan administration, portfolio management, social performance, livelihood developments — themes that had always grabbed my attention. One can imagine my surprise when after six months on the job, I realized I was quickly becoming an expert in Colombian labor law, tax liabilities and government requirements instead! 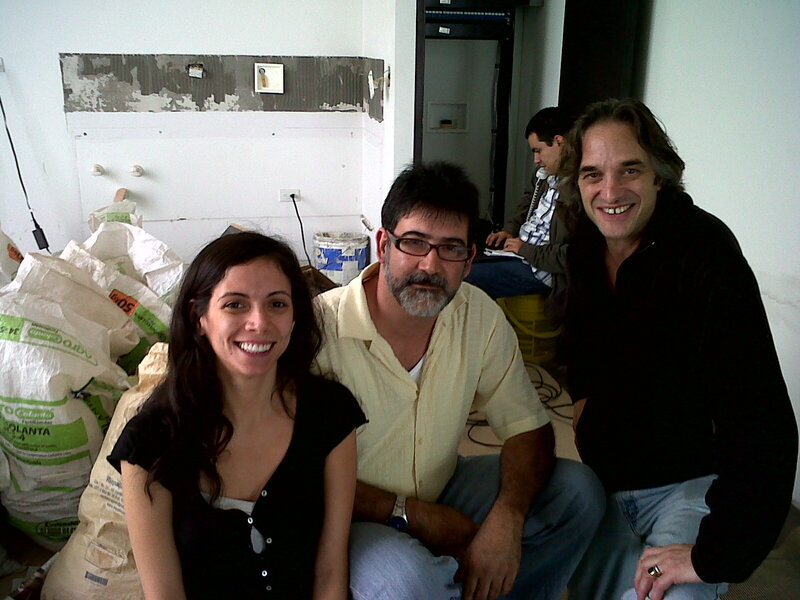 Lori Ospina, consultant Milton Cadavid Jaramillo and IT manager Vlad Petrov in our new Colombia office just after it opened. With the support of generous donors, Grameen Foundation began working in Latin America and the Caribbean (LAC) in 1999, but until recently had conducted all of its LAC-related activities from its headquarters in Washington, D.C. In 2009, the organization decided to decentralize and move closer to the areas where we operate, so we could support poverty-focused organizations and serve the poor more effectively and efficiently. Alberto Solano, Regional CEO for LAC, was in charge of opening the office, which would be in Colombia. He already had a full plate as the Regional CEO, so I was tasked with moving things forward. What a learning curve! Today, Grameen Foundation is a fully registered international organization with an office in Medellín. Opening the office was an interesting journey. We navigated various Colombian agencies, including the Ministerio de Interior (Minister of Interior), the Camara de Comercio (Chamber of Commerce), and Dirrecion de Impuestos y Aduanas Nacioniales (Tax Authorities). Fortunately, we had tremendous volunteer support. The law firm of Brigard & Urrutia generously took us under its wings, educating and guiding us along the process. The attorneys there spent hours on end talking us through the processes we would need to go through, explaining immigration law and tax law and employment law over and over and over, in case we didn’t understand it the first time … which happened often!